Most music sounds sweet when played on our favorite little stringed instrument, but there are some clear favorites. Here are 55 of the most famous ukulele songs, with plenty to choose from depending on your mood at the moment. And hey – if you don’t see the ukulele being used in the originals, you should know that the song made its way onto the list because it sounds amazing on the ukulele. We’ve included links to chords and lyrics, so you can try these famous ukulele songs for yourself. You might recognize this song as the one originally sung by Judy Garland in her role as Dorothy Gale in the original 1939 movie The Wizard of Oz. The ukulele version, which was popularized in the movie 50 First Dates, gained even more fame when Israel Kamakawiwo’ole released his cover in 2011. All I Want gained fame when it was featured in The Fault in Our Stars film soundtrack. It’s an easy ukulele song to play, yet it is heart-wrenchingly beautiful. All of Me was written for John Legend’s wife, Chrissy Teigen. This beautiful song was the third-best selling song of 2014. Give it a try and impress someone special! Aloha ‘Oe is attributed to Queen Lili’uokalani, who composed the song in 1878. 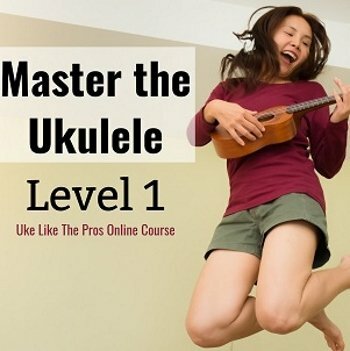 It’s among the most famous ukulele songs ever written, and it is easy enough for newer players to perform with just a little bit of practice. Christina Perri and her best friend David Hodges wrote A Thousand Years for Bella and Edward. It’s as popular now as it was back in 2011 – maybe even more so! Looking for a fun ukulele song to try? Banana Pancakes might just do the trick! Jack Johnson’s “Better Together” is a fun song to play! The lyrics might take a little time to learn, but once you put the words and chords together, you might find this catchy tune becomes a favorite. A little bit of trivia for you: Taylor Swift’s Blank Space seems heartfelt, but it was written as a satirical statement on the media’s coverage of the artist’s relationships. Elvis Presley’s 1961 hit has been covered many times. Tyler Joseph of Twenty One Pilots plays a fantastic ukulele version of Can’t Help Falling in Love, and it’s sure to inspire you to try this famous ukulele song for yourself! Sia wrote “Chandelier” with Rihanna or Beyoncé in mind, but opted to perform the song herself. Since its release, it has reached the top 5 on charts in 20 different countries! If you loved La La Land, you’ll enjoy playing City of Stars! It’s not terribly challenging: Give it a try! Count on Me has a classic island sound and easy lyrics. The song has a sweet, laid-back vibe that makes it a lot of fun to play. Dream a Little Dream of Me has been recorded by more than 60 artists since its original release in 1931. We love this cover by Danielle Ate the Sandwich – it’s sure to inspire you to try this famous ukulele song for yourself! Hallelujah was written by Leonard Cohen, popularized by Jeff Buckley, and famously covered by Rufus Wainwright in the 2001 animated feature Shrek. Since then, it’s been a favorite with ukulele artists. Even Jake Shimabukuro, famed for his marvelous ukulele fingerpicking style, has covered it beautifully. It’s worth noting that we couldn’t find a video featuring both Rufus Wainwright and the ukulele, so we chose this one featuring Espen Lind, Kurt Nilsen, Alejandro Fuentes, and Askil Holm. Although they’re accompanied by the guitar here, you can achieve a similar effect with your ukulele. Feeling nostalgic or sorry for the way things ended with an ex? Let it out! Hello is the perfect song for expressing your emotions. Here Comes the Sun has been covered so many times, why not try this classic ukulele tune for yourself? It’s sure to become a favorite. Want a fun, catchy song to play and sing? Give Ho Hey a try! The lyrics are easy to remember, and so are the chords. No wonder “Hey Soul Sister” is such a popular ukulele song: It’s Train’s highest-charting song ever, even winning a Grammy Award! While this tune is a catchy one, it’s not at all difficult to strum. Have fun playing! Trivia time! The Plain White T’s Tom Higgenson wrote “Hey There Delilah” in honor of American track star Delilah DiCrescenzo. Have fun learning House of Gold! The rhythm is unique, and when you pair it with the lyrics, you’re sure to make quite an impression! Sweetly lyrical, “I Don’t Know My Name” was written by Grace VanderWaal, who taught herself to play the ukulele at age 11. Whatever your age, this song is a lot of fun to play. I Make My Own Sunshine was featured in a 2012 Lowe’s commercial. The tune is easy to learn, and the lyrics are sure to put you in a great mood. Feeling sentimental? Learn how to play I Will Follow You into the Dark, and you’ll have one more way to express yourself while telling someone just how much you care. “I Won’t Give UP” is a beautiful love song – and it’s a good reminder to keep on practicing your ukulele! Hang in there even when things get tough! I’m Yours offers a fantastic island sound, with plenty of strumming. This song might be famous, but it’s not at all difficult to learn and play! If you’re a fan of the Lord of the Rings movies, then you’ve probably found yourself listening to I See Fire as you recall some of the Hobbit’s most memorable moments. Why stop at listening? Now you can play it, too! Get started with just four chords! Island in the Sun is super-catchy, and it’s such an easy ukulele song that you’ll learn it in no time. Ready for some fingerpicking? Island Style isn’t the easiest song to play, but once you’ve mastered it, you’ll find that it’s one of your favorite tunes. Give it a try when you’re ready for a little challenge! La Vie en Rose was written by Edith Piaf, way back in 1945. The song has been popular on and off since then. Cristin Milioti covered La Vie en Rose in How I Met Your Mother, Season 9, Episode 16, strumming along to the soulful song on her ukulele. Try it for yourself! Sweet and sentimental, Let Her Go is sure to make quite an impression on your audience. If you have friends who like to play different instruments, this song is one worth performing as a group. Find your favorite little girl and let her sing along! If you’re a fan of Frozen, “Let it Go” deserves a place on your list of songs to learn. In the mood for a fairy tale? Love Story is the perfect song to play! An easygoing beat and simple chords make Ed Sheeran’s “Perfect” a song worth trying, even if you’re fairly new to the ukulele. Your friends will be impressed! Pompeii is technically synth pop, but the song lends itself to the ukulele so well that it’s a favorite with players who are looking for a challenge. You’ll be strumming fast: Pompeii’s tempo is 128 beats per minute. Ready to impress your friends? Learn how to play Pumped Up Kicks on your ukulele! There’s no need to be intimidated: We found an arrangement with only four chords to learn! Ready to learn a fun, famous ukulele song? Give Riptide a try! This song has just a few chords, and the lyrics aren’t too difficult to remember. “Say You Won’t Let Go” has a sweet sound, yet it’s fairly easy to play. Once you’ve got the strumming down, you’ll be ready to add some fingerpicking in the style of James Arthur. Give it a try! Ready to expand your playlist? Ed Sheeran’s Shape of you has just four chords to learn, but the rhythm and lyrics make for a fun challenge. Bon Iver’s “Skinny Love” has been covered countless times, with a notable release by Birdy in 2011. It’s slightly challenging, making for a nice addition to your repertoire. Grab your favorite someone and have fun learning how to play Someone to Lava! You’ll love it’s classic Hawaiian sound as well as its fun, catchy lyrics. Feeling lonely? Sing and play Sam Smith’s “Stay with Me” and see if your luck changes. “Stressed Out” isn’t the easiest ukulele song to play, but it’s sure to make quite an impression on your friends! Once you’ve learned the chords and lyrics, you’ll find that this is a favorite. Sunday morning is the perfect time for practicing ukulele, and this song is a great one to cover. Have fun! Ready to play something a little edgier? Hozier’s “Take Me to Church” might just do the trick! Believe it or not, the Cups song (When I’m Gone) dates all the way back to 1931. The song was performed by the Carter Family, and credit for its lyrics and composition goes to A.P. Careter, as well as to Luisa Gerstein of Lulu and the Lampshades. Don’t do anything hard today…just play your ukulele! The Lazy Song has lots of chord changes, but it’s got a fun, laid-back vibe. Fantastic lyrics, a catchy beat, and lots of chords: “The Judge” has a nice, full sound, and once you’ve put all the elements together you won’t be able to stop playing it. If you’re looking for a sad ukulele song, then consider Coldplay’s “The Scientist.” It’s got a slow, easy beat, along with wistful lyrics to help you express yourself. A little bit of trivia: Ed Sheeran plays and sings beautifully – but one skill was missing. He finally learned to dance just in time for the Thinking Out Loud video! Written in 1926 and covered countless times, “Tonight You Belong to Me” is the perfect ukulele song. It’s sweet, simple, and easy to sing along to. Give it a try! If you want to treat your friends to a classic Hawaiian ukulele song, play Ukulele Lady for them! Bette Midler’s version is based on the original standard by Gus Kahn and Richard A Whiting, which dates back to 1925. Jack Johnson’s “Upside Down” has a chilled out, laid-back vibe, a fun beat, and fantastic lyrics. 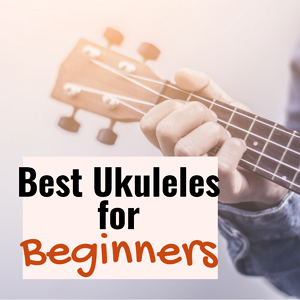 It’s a littler harder than some other famous ukulele songs, but with a little practice, you’ll be playing and singing along! Jazz on the ukulele? “Valerie” proves it’s possible. Give this heartfelt tune a try sometime! Play the chords alone, or add some finger picking! Viva La Vida is a fantastic song whether you’re looking for something simple or if you want to take your ukulele technique to the next level. Avicii’s “Wake Me Up” has wonderful lyrics and a marvelous beat, but it’s not too hard to play. With a little practice, you’ll be ready to show off for your friends! Ready for a little challenge? Try playing Ingrid Michaelson’s “You and I” on your ukulele! The E can be tricky, but with some practice, you’ll get it right.